The Seashell Trust, based in Cheadle Hulme, held an evening of fundraising and entertainment, in 2015, with the theme being an Arabian Nights Summer Ball. Guests were greeted by a glamorous Belly dancer from Ri Ri’s Dance Academy, who was beautifully dressed in a gilt costume adorned with pretty jewels. Our Belly dancer brought the party to life by performing two twenty minute energetic yet elegant Belly dancing routines, with a cheeky costume change in between. A number of props were combined into the Belly dancing performances, such as a sword and huge, spectacular isis wings which almost covered the entire dance floor! The Belly dancing workshop, interacting many of the guests, was a huge success and lifted the atmosphere of the Event, bringing smiles and laughter to those on the dance floor and, also, those watching! It is an honour for Ri Ri’s Dance Academy to be supporting the Seashell Trust after many years of working together. Her Majesty, The Queen, is the patron of the Seashell Trust Charity, who raised an amazing £44,000 on the evening of the Arabian Nights Summer Ball. 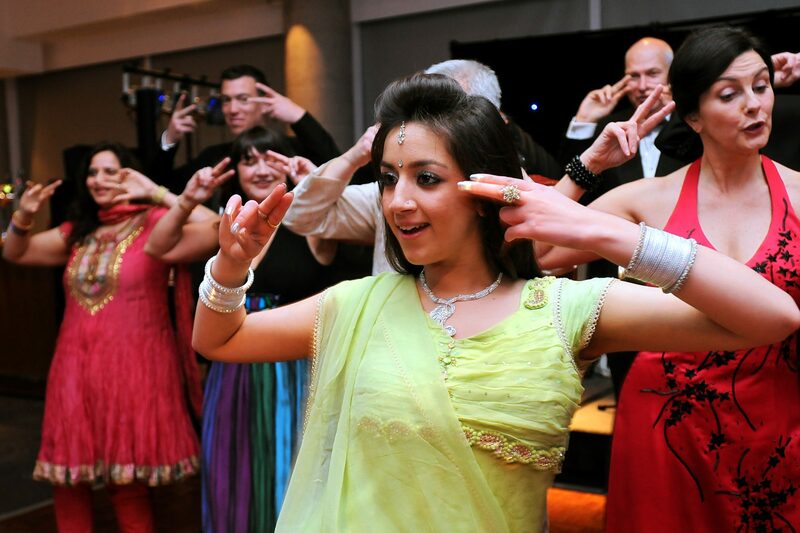 Two Dancers from the Academy performed two sets of expressive Bollywood Dance Performances, with one Dancer in an Indian outfit whilst the other Dancer rocking a more Asian/Western style – Adding a surprise element for the guests! After the captivating Bollywood Dance Performances, Ria Meera Munshi, delivered a spontaneous mini Bollywood Dance Workshop to the Indian song ‘Chikni Chameli’, taken from the 2012 hit Bollywood film, ‘Agneepath’. A number of guests from the Corporate Charity Ball joined Ri Ri’s team on the dance floor, including Director of Development,Dominic Tinner. The Stockport Express Newspaper (30.05.12) featured a brilliant and informative article about this Indian themed Charity Event, with Ri Ri’s Dancers as the main image. The beautiful Seashell Trust Charity, with the patron being her Majesty The Queen, work with children and adults with complex and severe learning difficulties. These include little or sometimes no language abilities.